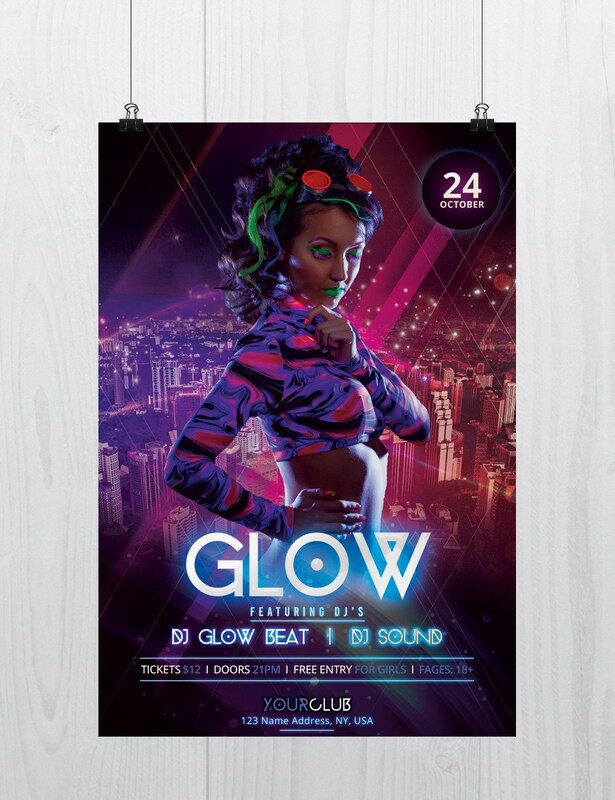 Club Vibes is Free PSD Photoshop Flyer Template to Download. This Free PSD Flyer is fully editable and very easy to edit and customize. Flyer ..
A beautiful Flyer design can be the key to make people excited about your event or business promotion. Minimal Splash is a Free PSD Flyer Template. ..
EDM Night is a Free PSD Flyer Template. This PSD File is very easy to edit, change the color, text, shapes or other elements that you can easy .. Falling Stars is a Free PSD Flyer Template to Download. This PSD File is with alternative colors and in print-ready. Falling Stars Flyer is .. The Club is a Perfect flyer to use for your next Music Event, Song, Cover Mixtape or other business promotion. PSD File is designed with City ..
Glow and Neon is Free PSD Photoshop Flyer Template to Download. This Free PSD Flyer is fully editable and very easy to edit and customize. .. Celebrate Thanksgiving with this excellent free flyer template. This Thanksgiving flyer template can also be used for Other Events, Restaurants, ..
Future Beat is a Free Photoshop PSD Flyer Template to Download. This PSD File is with alternative colors and in print-ready. Future Beat Flyer is ..
Vibe Minimal is a Free PSD Photoshop Flyer Template to download. This Free PSD Flyer is fully editable and very easy to edit and customize. .. The Sound Dream is a Free PSD Photoshop Flyer Template to download. This Free PSD Flyer is fully editable and very easy to edit and customize. ..